The Right Track was founded in May of 1984 by Steve and Wendy Herstein in Crofton, MD. Steve brought considerable experience to the company having been involved in the window treatment business since the mid-1970's. The early focus of The Right Track was the fabrication and installation of vertical blinds for high-end interior designers as well as window treatment motorization. It didn't take long before The Right Track was expanding its product line with pleated shades and a range of finished products. From the beginning, The Right Track distinguished itself in the marketplace through its superior customer service and problem solving capabilities, which resulted in strong client relationships that last to this day. Over the years, The Right Track built an extensive line of window covering products and expanded its base of loyal clients. As motorization became more popular, The Right Track became a recognized expert in the field developing, selling and installing innovative yet user-friendly automated window treatment systems, used in the high-end residential, commercial and RV markets. Today, roughly 80% of The Right Track's sales come from motorized blinds, shades, panel tracks, drapery tracks and related components. From its inception, The Right Track has emphasized expert customer service, innovative problem solving, high quality materials and cutting edge technology. Sales come from a growing network of authorized distributors across the country. 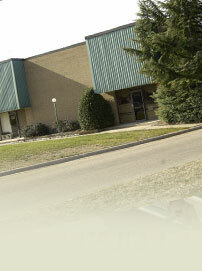 Our location has grown from 2,200 sq ft in 1984 to a 15,000 sq. ft state of the art fabrication facility today. Click on "Our Products" to see the broad range of quality window coverings we offer. You're sure to find the perfect window treatment for your project. To get a quote or open an account, contact us at 1-800-872-2565.